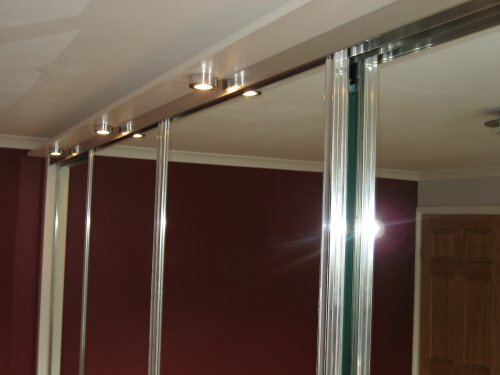 Our accessories range is created from many years of experience in designing sliding wardrobes. 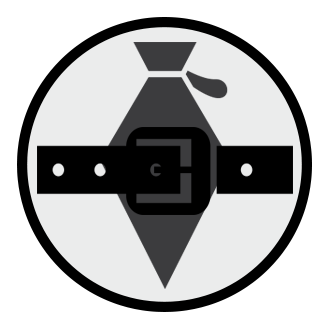 Functionality is important and each accessory has its place, depending on the space available and your individual requirements. Our wardrobes come with the option of including a drawer that fits our standard shelf unit. The drawers are suitable for items such as underwear, socks, nightwear etc. All our drawers are made to measure to maximise the space in your unique wardrobe. They are all opened by the finger gap between each drawer, this is useful for kids wardrobes; reducing the chance of pinched fingers. We believe our drawers are excellent value for our customers that want drawers, and should not be an expensive option with an unnecessary feature. 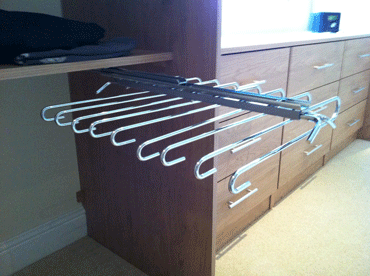 This chrome plated steel accessory holds 9 pairs of trousers and is fitted to the underside of a shelf. 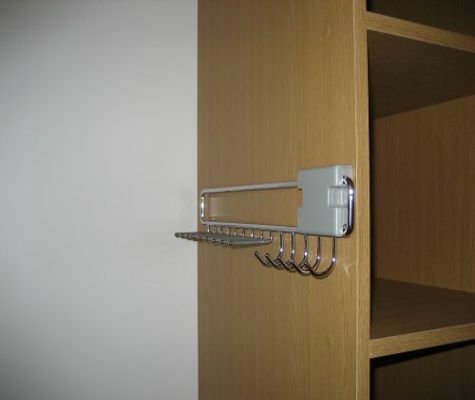 Due to the width of the pull out trouser rail it can fit to the underside of a shelf in our standard shelf unit. 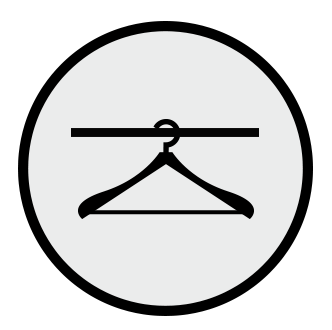 This is not always the best use of your sliding wardrobe space, but this can be determined and advised by your Simply Sliding Wardrobe designer. It can be useful to set storage for trousers and allow more storage at the bottom of your wardrobe. 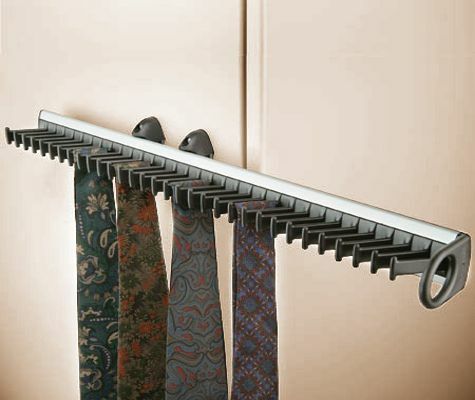 Soft grey colour pull down wardrobe rail has a retractable hanger for temporary placement of garments. This comes in various width ranges and offers the opportunity to utilise higher places in your wardrobe on a day to day basis. 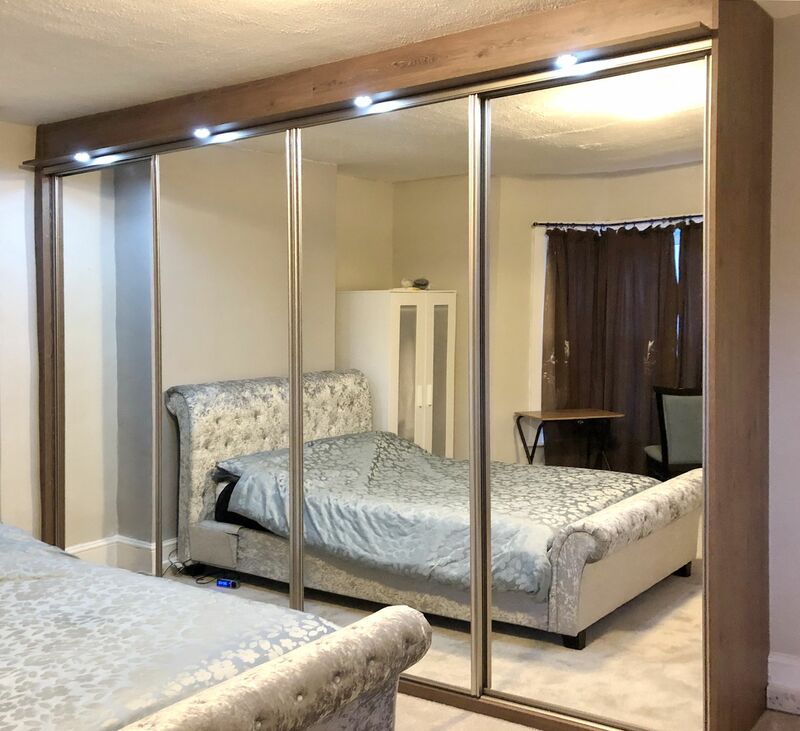 They have their drawbacks as well as their benefits, which your Simply Sliding Wardrobe designer will be able to explain to you in relation to your overall design requirements. 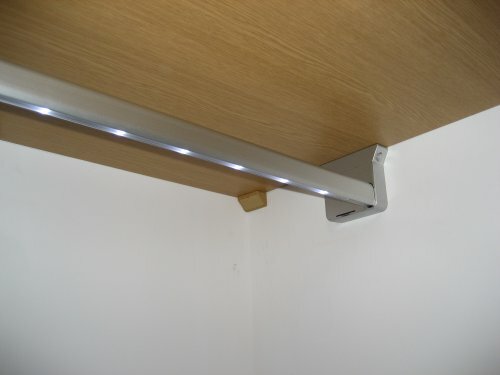 We offer a new feature for lighting inside your sliding wardrobe that requires no wiring at all. A simple yet ingenious development, the motion sensor led light rail. 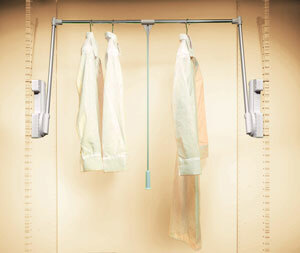 This is a garment hanging rail with incorporated led lights along the majority of its length. The lights are triggered by a motion sensor located at one end of the rail. These rails are each powered by two easily changeable 9v batteries. We offer lighting on the outside of your wardrobe in the form of downlights from a pelmet above the top track. For this we require an available plug socket in the area of your sliding wardrobe. From the socket we can plug in the lights over the wardrobe. A switch for the lights will be located inside the wardrobe. This can be a lovely feature to show off your beautiful sliding door wardrobe. All of our bedside units have two drawers and are fitted with handles. We do not offer a wide selection of handles, again we keep our selection simple and supportable. We generally offer a bar handle or knob handle, but if our customer wishes to supply a specific handle we are happy to fit this as an alternative. Our drawers are solid and robust, with the boxes and drawer fronts made from 18mm board and the bases from 8mm board. None of our drawers are soft close, it really is not necessary. Our drawers have nylon rollers in steel runners and the drawers have a hold close feature built in. We believe our bedside units are excellent value for our customers. All of our chest of drawers come with the option of either three, four or five drawers. These chest of drawers are the perfect accompaniment to your new sliding wardrobe. Your sliding wardrobe will usually provide you with enough space… but if you need something seperate, this is your ideal option. 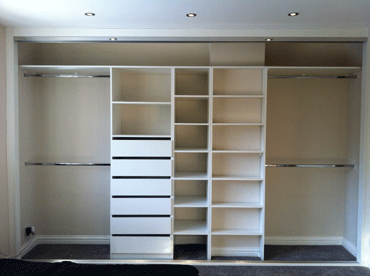 Simply Sliding Wardrobes style, quality, choice and value… we simply know what you expect!